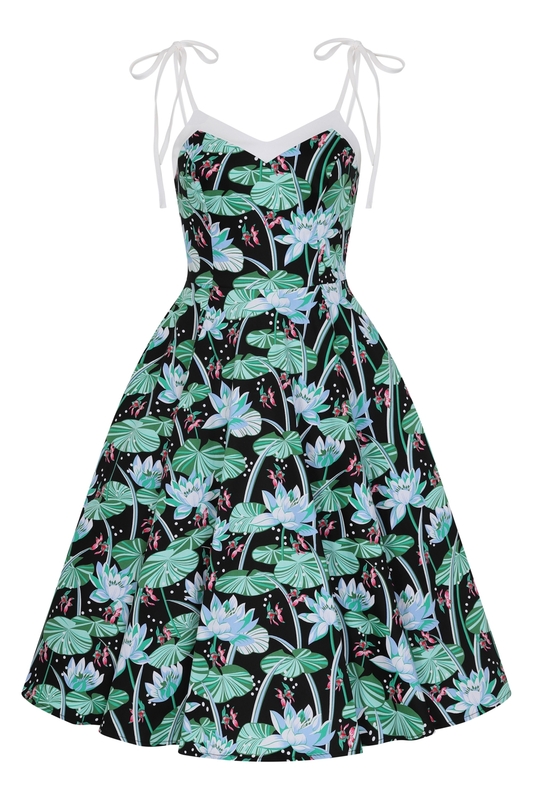 A Tropical Dress For An Unstoppable Lady. 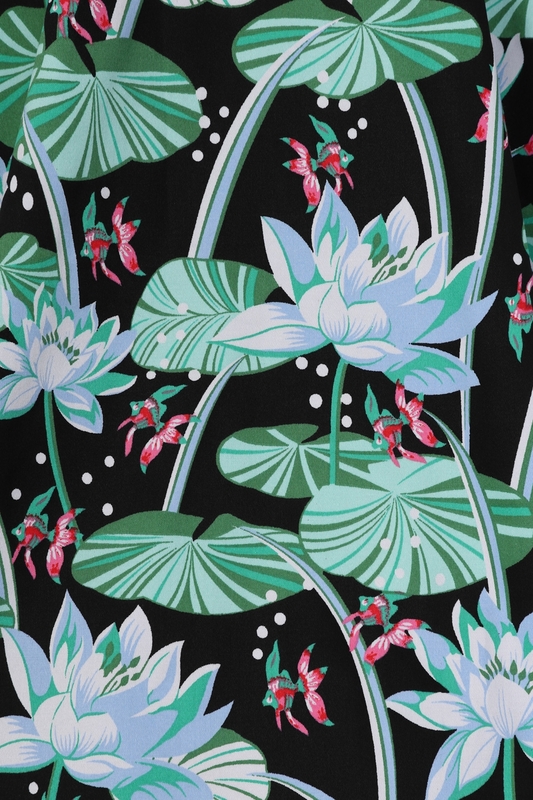 This Tropical Themed Style Is The Dream Dress For Your Spring Summer Outfits, And Not To Mention The Perfect Type Of Day Dress For A Stroll In The Park Or Day Party. Hearts & Roses New Addition Features A Fitted Bodice With A V-neckline And Spaghetti Straps, Which Will Make This Piece A Joy To Wear, Even When Temperatures Soar. The Fitted Bodice Emphasises The Swing Skirt Giving It That True Retro Vintage Effect. 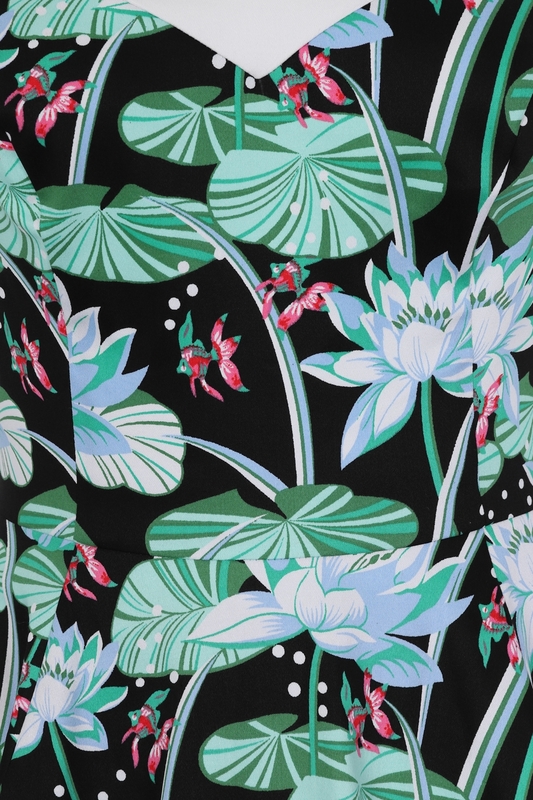 The Print Also Details An Explosion Of Green Water Lilies, Baby Blue Flowers And Small Pink Fishes All Printed On Black Soft Cotton Blend Fabric. 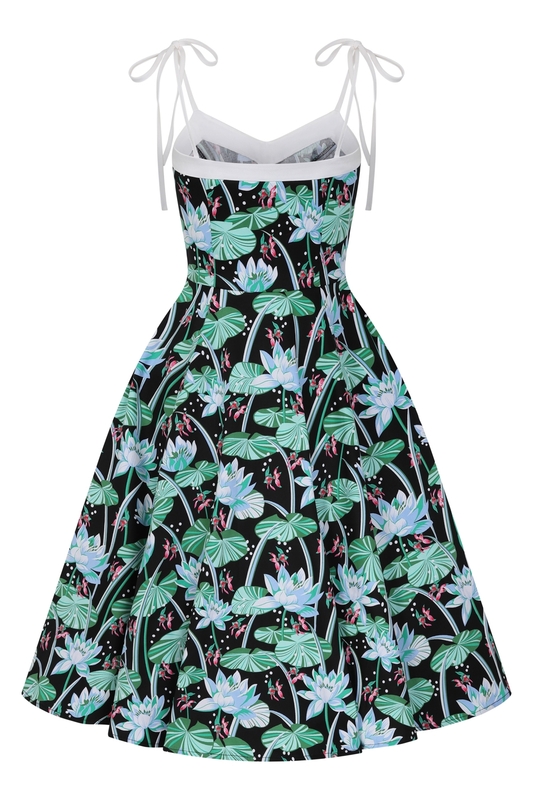 Look And Feel Tropical This Summer In Our New Swing Dress.